Simple steel collar connections secure a series of bowed bamboo chutes to the tree trunk, taking advantage of the tensile strengths of bamboo. The floors utilize a typical joist type assembly. 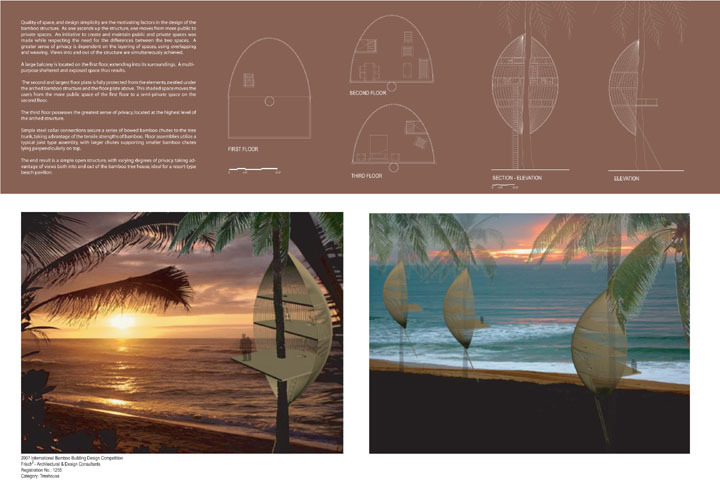 This structure is idea for use as a resort pavilion, with layering of public, semi-private, and private spaces.